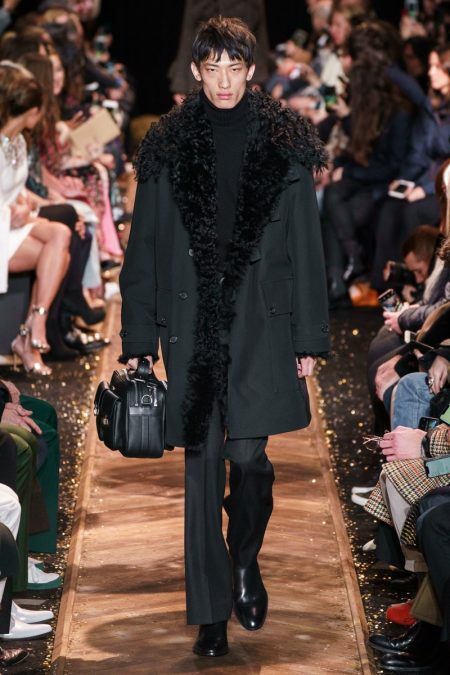 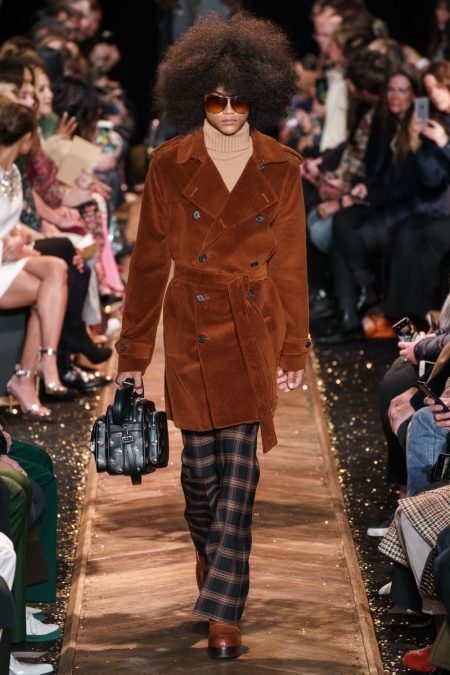 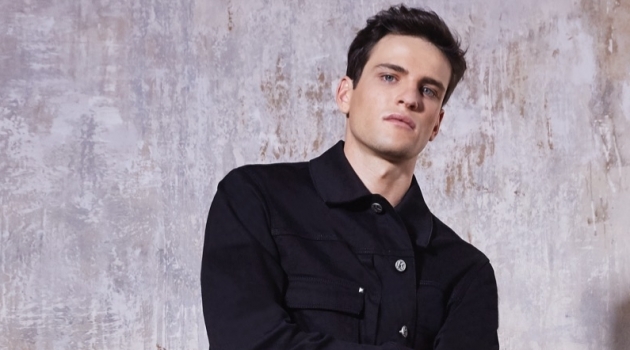 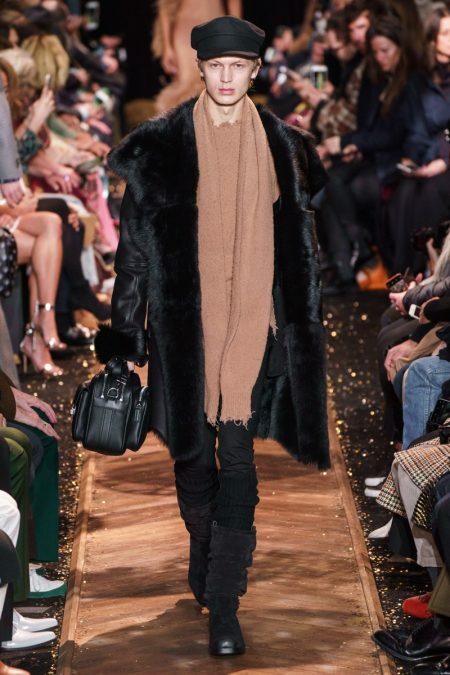 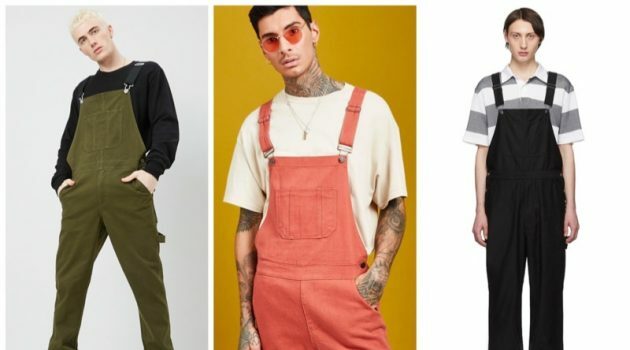 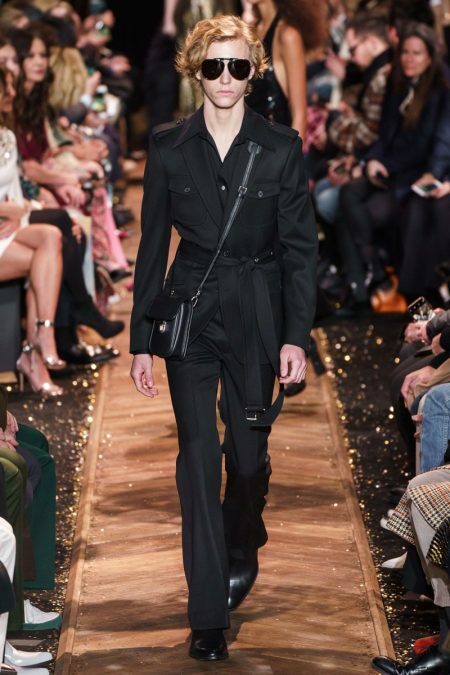 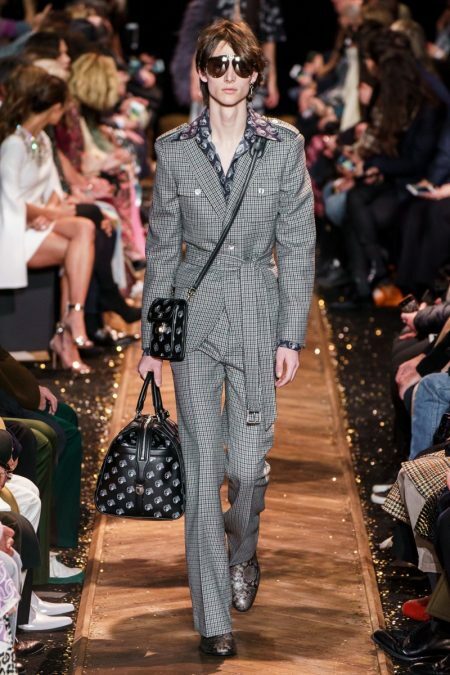 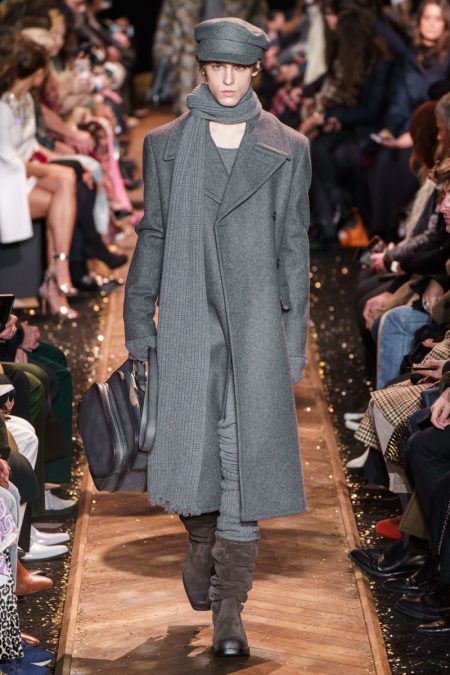 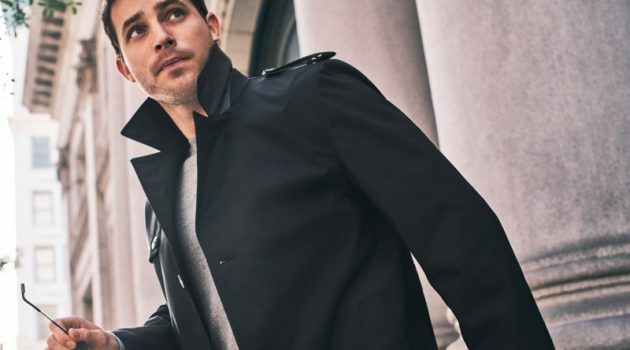 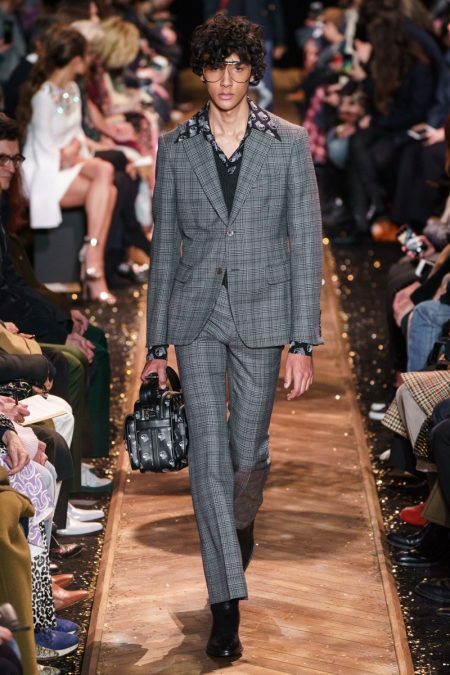 Michael Kors goes full-on seventies with its fall-winter 2019 men's collection. 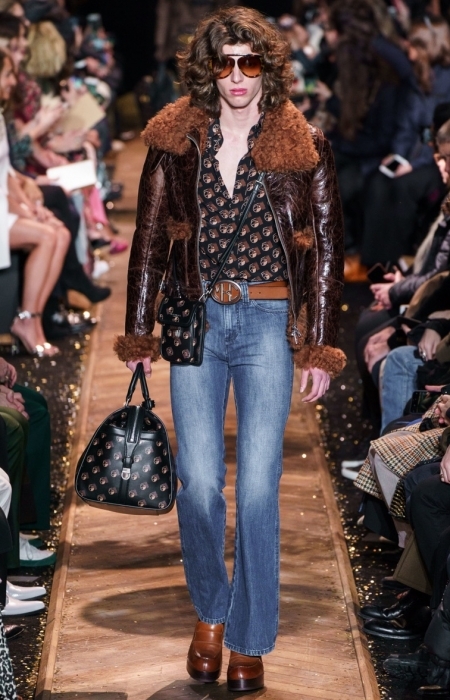 Studio 54 provides direct inspiration as Kors celebrates glamour and individual style. 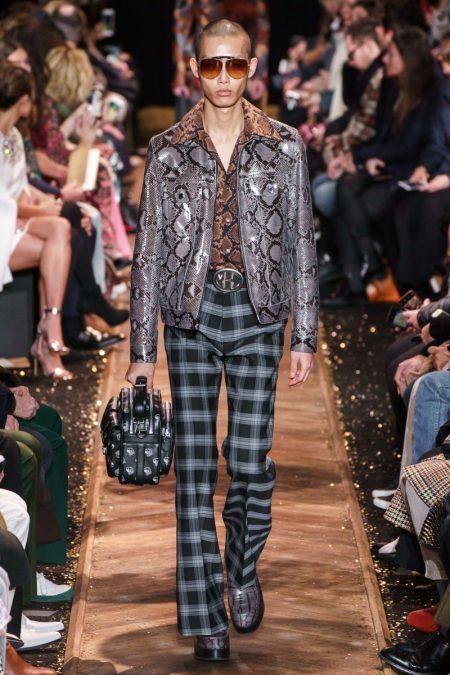 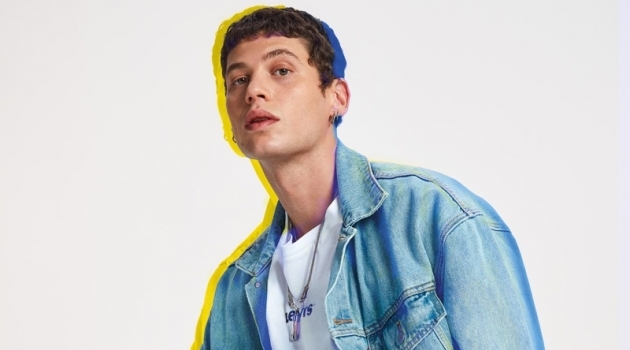 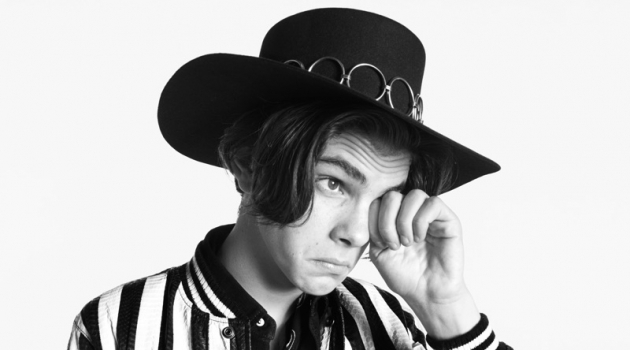 The collection's first look cements a penchant for flared denim jeans, logo belts, shrunken leather jackets, and all-over print shirts. 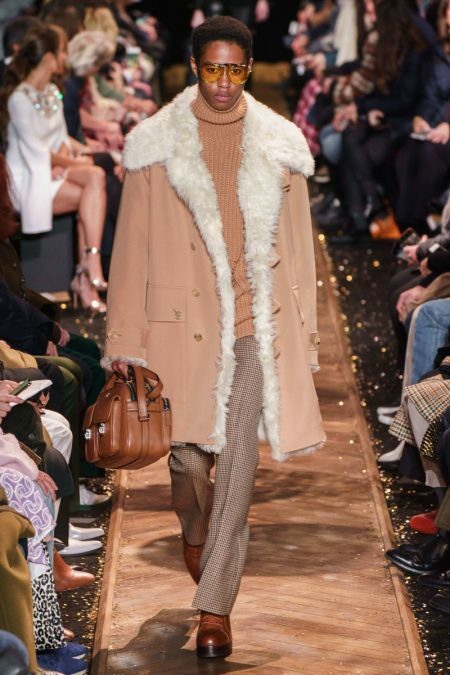 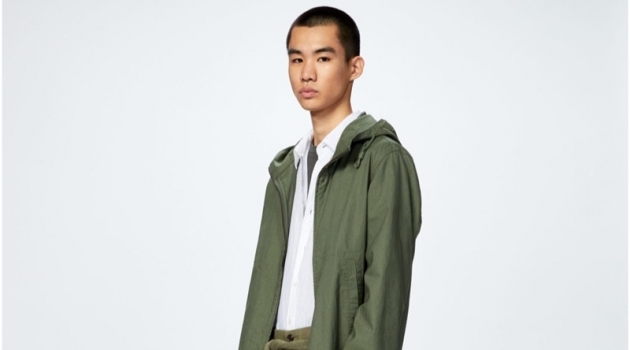 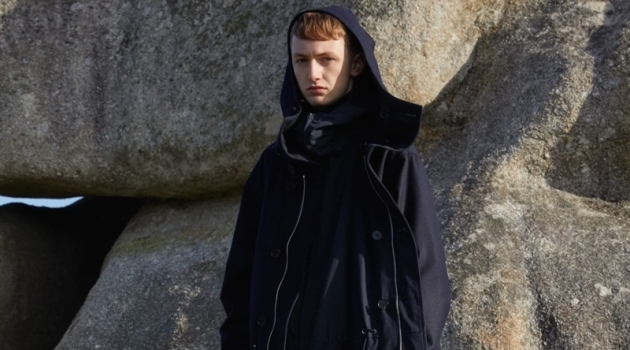 Revisiting past trends, key items reemerge with must-haves like the corduroy coat, fitted field jackets, and checked trousers. 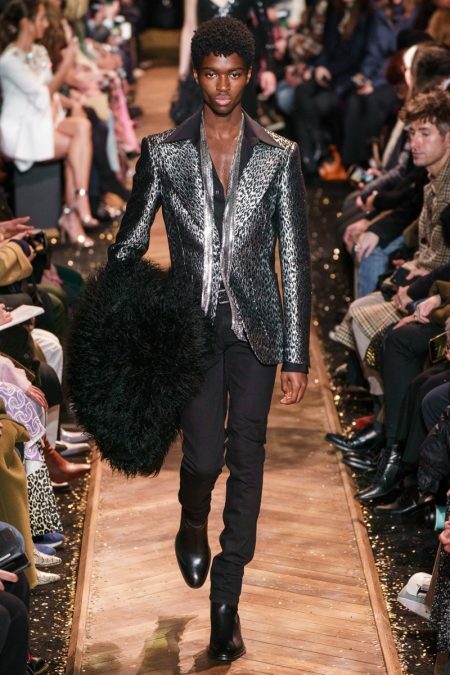 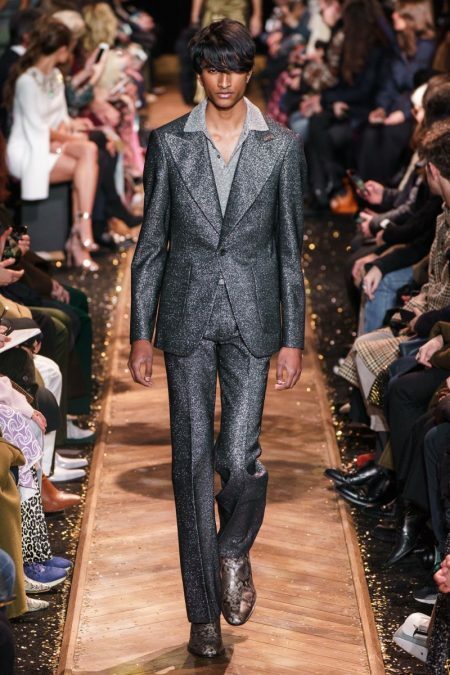 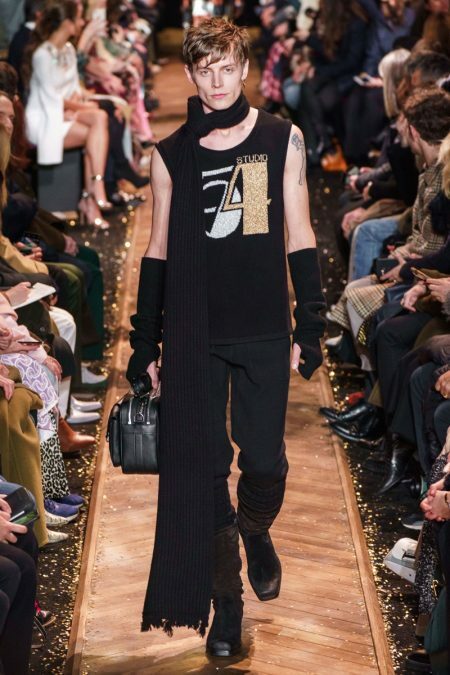 Utilizing the Studio 54 logo, Kors decorates knitwear, complementing its glittery finish with metallic suit jackets and reptile print tailoring.